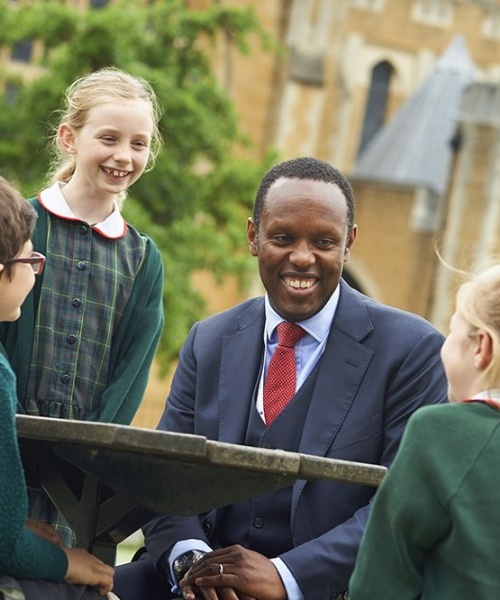 The Junior School Headmaster at St Benedict's is a self-confessed 'aviation geek'. Here, Rob Simmons explains why he loves to look to the skies for inspiration. The summer holiday stretches ahead, with plenty of time to enjoy rest and relaxation with family and friends. There will also be the opportunity to indulge in my passion for aviation, especially civilian airliners. As I write this blog, a United Boeing 777 climbs majestically above St Benedict’s, having just departed from London Heathrow en route to San Francisco. The sound of the turbofan engines is music to my ears and gladdens my heart. Any visitor to my school study will recognise immediately that they are in the presence of an aviation geek. Numerous model aircraft – from DC3s to Boeing 747-400s to Airbus A340s – adorn book cases and shelves. Cast a glance at the book cases and you will see that though dominated by medieval and modern history books, there is a generous sprinkling of aviation-related reading matter. The walls are adorned with framed pictures of military aircraft, including a Hawker Hurricane Mk.III, an Avro Lancaster Bomber and a Tornado F3. The picture of the Hurricane MK.III is signed by the grandfather of a former Junior School pupil who fought during the Second World War in the Russian Campaign in 1941. My wonderful wife acquired a framed picture of a Red Arrow’s BAe Hawk T Mk1, signed by the 1990 display team. Both are highly prized possessions. When I look back, I have to firstly thank my parents and then also an aunt and an uncle for sowing the seeds of my aviation passion. As a very young boy, they would take me to London Heathrow to view aircraft from the viewing areas at the Queen’s Building. The visits would often take place at night, and I was captivated by the lights, the distinctive smell and the sounds. I also have a very strong memory of being given a fully completed model of a BOAC Boeing 747 by a friend of the family. I was about 4 years of age at the time, so the delicate model was tested to destruction as I pretended to be a pilot flying around the world. My mother and father would buy me aircraft models to play with, perhaps sensing that it was not a passing fad. Annual family Christmas shopping trips would invariably see me spending some of my savings on an Airfix Model, more often than not a British Airways 747-200. The sound of the turbofan engines is music to my ears and gladdens my heart. Being brought up primarily in West London, it was always possible to see traffic heading into or out of Heathrow. From my bedroom window, I could watch the aircraft using the Brookman’s Park SID (Standard Instrument Departure) head out over Ealing and then head north-east, often with a dark exhaust trail marking the path that had been taken. Little did I know that years later my family home in Ealing would lie along the Brookman’s Park 6J departure, a source of great pleasure for me when the aircraft are departing from runway 09R at Heathrow. It was a family holiday to the Caribbean in the summer of 1976 that ensured that my interest in aviation would become a lifelong passion. En route to Dominica and Barbados, I flew aboard a British Airways Boeing 707 to Antigua and then island-hopped via Guadeloupe to Dominica aboard the smaller LIAT (Leeward Islands Air Transport) aircraft. It was a fabulous experience. Similarly, when I travelled to Trinidad in 1981 aboard a BWIA (British West Indian Airways) Boeing 707, I wanted to savour every moment of each flight. To this day, I can still recall keeping track of another aircraft that was flying in parallel with our aircraft as we headed out over the Atlantic Ocean, framed by the bright blue sky. Any visitor to my school study will recognise immediately that they are in the presence of an aviation geek. Numerous model aircraft – from DC3s to Boeing 747-400s to Airbus A340s – adorn book cases and shelves. In my early teens, with greater freedom and independence, trips to Heathrow and London Gatwick with my school friends were the order of the day. Whether it was via the Piccadilly Line or the Gatwick Express, I never lost that sense of anticipation and excitement as I travelled to the respective airports. Nothing much has changed to this very day! Arriving at an airport hours early prior to departure (especially if the flight is departing from Terminal 5) is a rite of passage in my family, and my wife and children have been very indulgent and patient with me over the years. I have even managed to combine my fitness workouts with my passion for aviation, regularly cycling to & from Heathrow along the A4 and settling down at my favourite spot on the northern perimeter to watch the aircraft arriving or departing on runway 27R/09L. 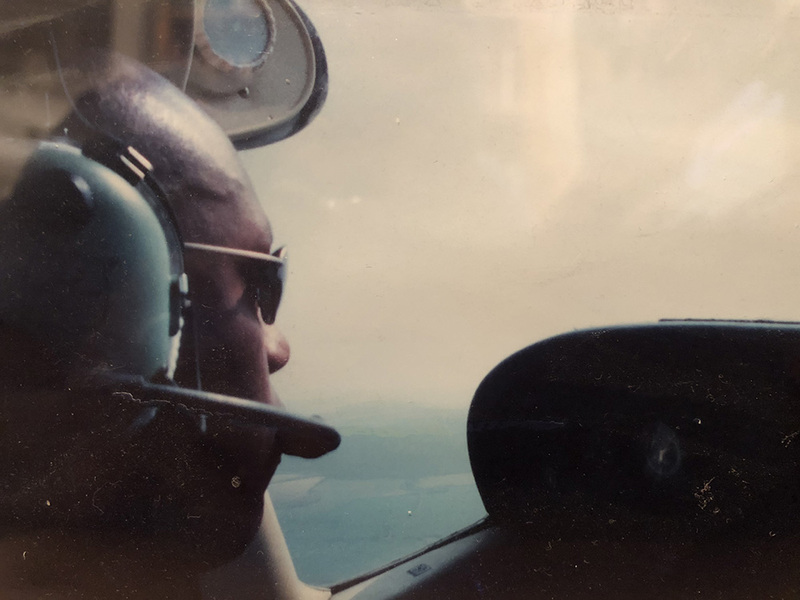 In my late 20s, I had the privilege of learning to fly Cessna 152/172 aircraft and gaining my PPL (Private Pilot’s Licence), based at The Wycombe Air Centre and flying out of Booker, Buckinghamshire. 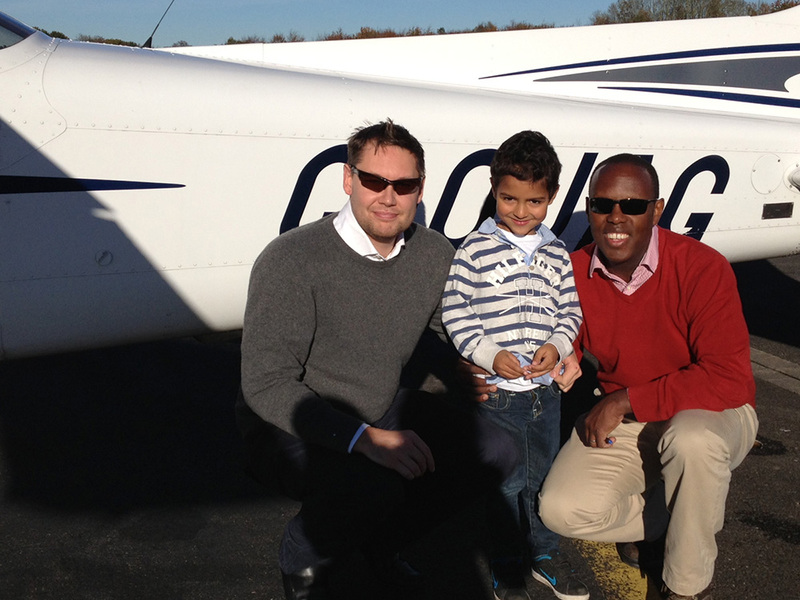 My general aviation flying has tailed off in recent years, partly due to time constraints and the expense – general aviation flying is not inexpensive - but it is certainly a leisure activity that I intend to take up once more in the years ahead. Technology has expanded access to the aviation world. Stunning flight deck footage from around the world can be found on YouTube; apps such as FlightRadar 24 allow you to track flights around the world in virtually real time; and aviation podcasts are a source of immense pleasure. My favourite podcast is The Airline Pilot Guy Show, crewed by Capt. Jeff Nielsen, Dr Stephanie Plummer, Capt. Nick Anderson and Capt. Dana. Capt. Anderson is based in the UK and the other three hosts live and work across the pond in the USA. The weekly episodes talk about all things aviation, and I must admit to feeling very content when I receive my notification alerting me to the fact that another episode has just been published. If I have time, I listen to the live recording of the podcast. The camaraderie between the hosts is brilliant! Capt. 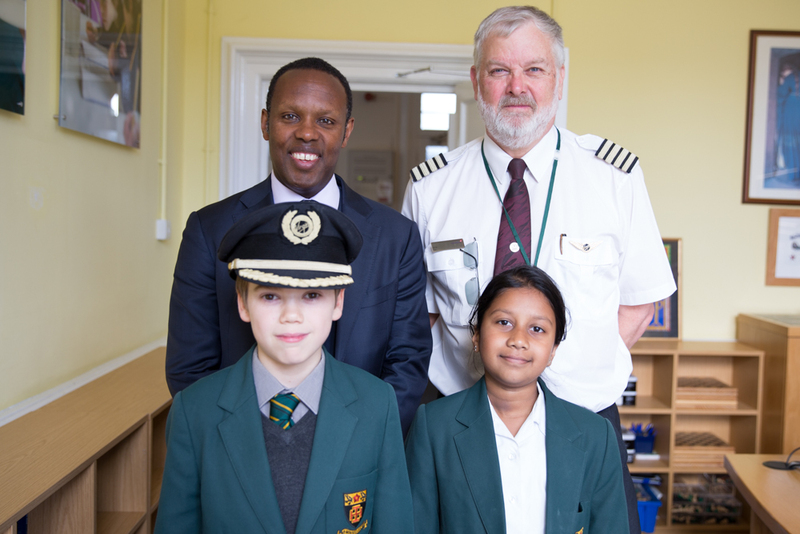 Anderson was kind enough to pay a visit the St Benedict's Junior School Aviation Club in late April and gave a fascinating talk about his career as a pilot in the RAF and the RAAF (Royal Australian Air Force) and his current life as a captain with Virgin Atlantic flying A340s and A330s. He is such a lovely man and was so generous with his time. I must admit that there is an outside chance that I was more excited about listening to his presentation then even the children were! I intend to visit the Farnborough International Air Show 2018 in mid-July and will hopefully have the chance to meet up with the APG Crew and other APG podcast listeners. The static and the flying displays will no doubt be absolutely awesome. It should provide me with plenty to cover during next term’s Aviation Club sessions. Have a great remainder of the summer, everyone!